"...we see him as a tragedian because is life is a tragedy..."
For a famous American writer who has immersed himself in the life of a tragic famous American writer Stewart O'Nan is surprisingly upbeat and animated. His new novel, 'West of Sunset' is a remarkable evocation of F Scott Fitzgerald's last day in Hollywood. But O'Nan is enthusiastic about everything; Fitzgerald and his life, O'Nan's research, even the challenge of taking on an icon. Like many who join me at KQED, he loved the life-size Downtown Abbey standee they have in the entrance to the upstairs atrium. It's a writer's television show. I must admit that I asked him off-tape about his baseball books with Stephen King. He told that he, King, and King's two sons are all fans, and the whole thing came together with a sort of sport-literary kismet. O'Nan has a feel for being in the right place at the right time. He was headed, he told me, to a gig with Maureen Corrigan, moderated by Erik Larson. That is a serious Trifecta of literary greatness. One we get in the studio and sit down to talk, he's simply amazing. He approaches the long form interview with the intensity of a man in the lightning round, firing off his answers with incredible precision. He's clearly a man who thinks a lot about how he does what he does. It seems to be a part of his process, and it makes for a very intense interview. While he was writing, he surrounded himself with images of Zelda, which, when you read the novel, makes perfect sense. The book perfectlyk exactly captures a sort of wistful melancholy for the Hollywood of Fitzgerald's time. O'Nan told me he actually had to leave some real figures who were on the lots at the time out of the narrative so as to avoid overcrowding. But those who surrounded Fitzgerald are now so deeply imbedded in our cultural perceptions that this move makes sense. It gives the book a nice level of density. It's not too over-the-top. It feels achingly real. O'Nan told me about his next project, and it takes a cue from Lawrence Wright's recent book. It sounds superb. When I finally came to the lightning round, O'Nan was ready. He turned in a stellar performance. 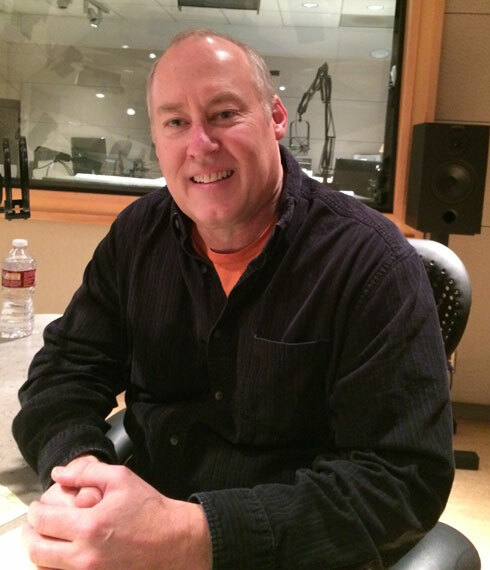 You can hear our long-form interview by following this link to the MP3 audio file. Here's the one-hundred ninety-sixth episode of my series of podcasts, which I'm calling Time to Read. these days I actually sort of perform them with the writers as a "lightning round" (thanks David Rich!) after the longer interview. 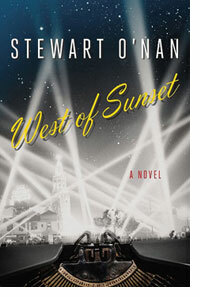 Here's a link to the MP3 audio file of Time to Read, Episode 196: Stewart O'Nan, 'West of Sunset'.